Inholland Composites installed the latest software version for the Moog Portable Test Controller used for single-axis testing of composite materials. The test machine is a 100 kN hydraulic bench, measuring 700x300x1600 mm, which is undergoing an upgrade as part of a modernisation process. Manufacturers and consumers want lightweight materials in all sorts of products and parts, so the lab needs to speed up the number of tests it performs on composite materials. Historically hydraulics has been used for its combination of high load and velocity. The test system consists of a hydraulic actuator, test load frame and test controller. Initially, the system was used to perform material tests for aerospace, but then extended its scope to cover tests ranging from car parts to hockey sticks. 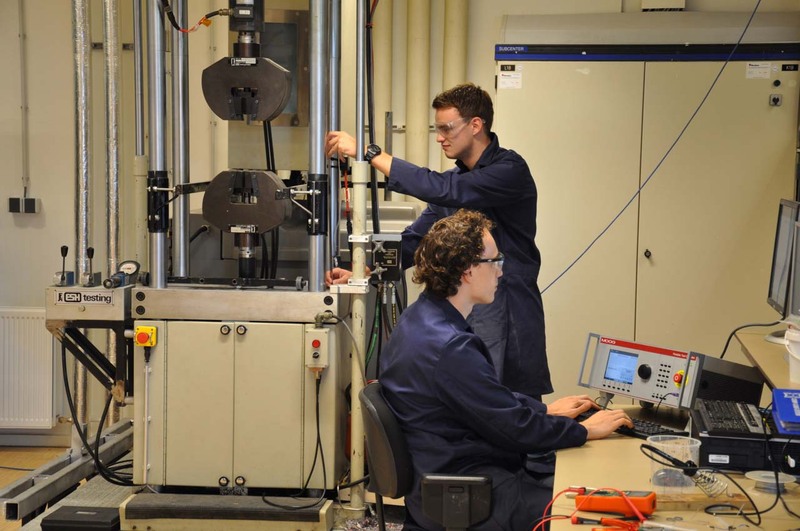 Inholland Composites is now able to use the testing machine for a wider range of applications. For example, while developing an electric bio based composite scooter, Inholland Composites was able to conduct full scale testing to simulate certain road profiles. Another example was the testing of cargo straps for aviation to prove compliance with the new EASE regulations. Also, composite materials require significant testing for the determination of material properties. These tests are mainly static destructive tests. Moog’s integrated test suite allowed Inholland do all these tests on a single machine. And because the test controller is portable, the lab can also now integrate more I/O devices and obtain real-time and realistic measurements from the lab’s climate chamber. 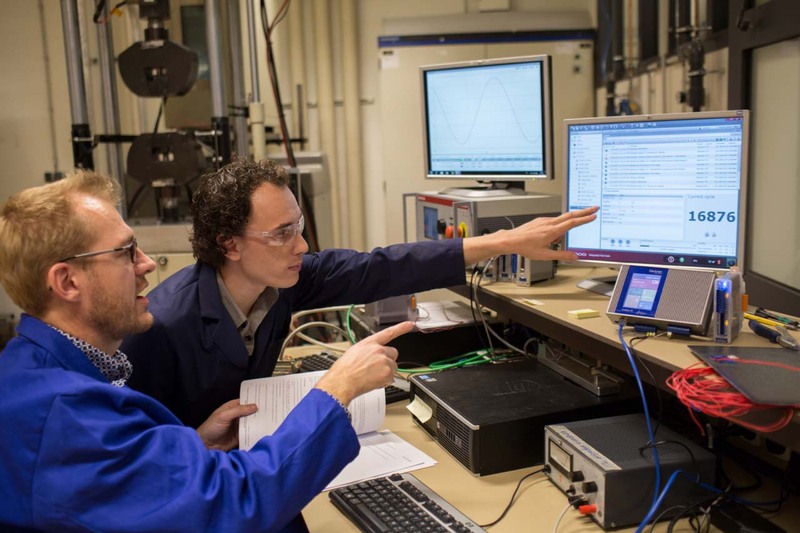 The software running on the test controller gives engineers more options than other software they’ve used in the past, so researchers can change the force they apply to a part during a testing sequence. The Integrated Test Suite is the most versatile software Inholland has used yet for dynamic testing. The Moog test controller uses an EtherCAT fieldbus interface that allows connecting EtherCAT compatible slave devices with precise time synchronization. 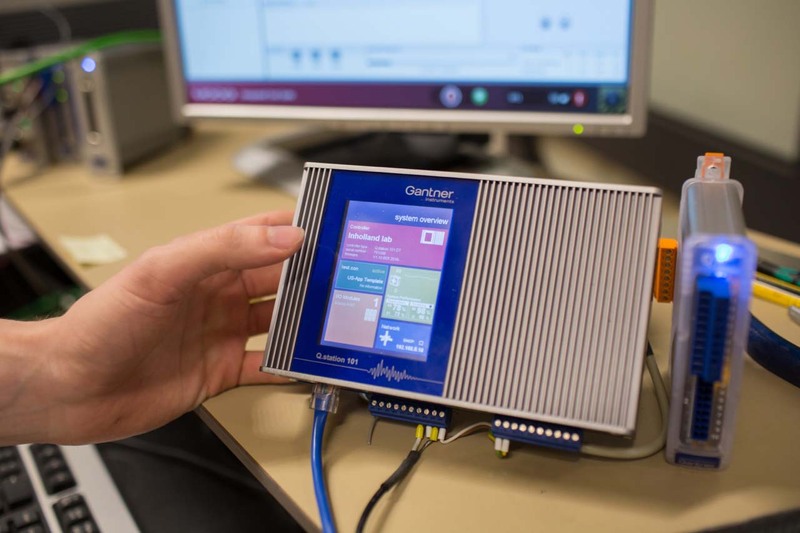 The lab is currently using a Q.bloxx EC measurement system from Gantner Instruments linked to the test controller, also equipped with EtherCAT. The ability of connecting a modular measurement system to the test controller over EtherCAT provides flexibility and has become a key feature to the test lab.